New York: Grove Press Inc., , 1951. Brossura (wrappers). Molto Buono (Very Good). . 8vo. pp. 176. Molto Buono (Very Good). Prima edizione (First Edition). 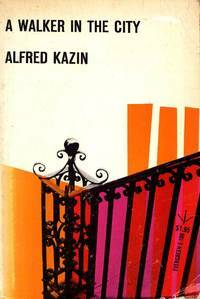 Kazin’s memorable description of his life as a young man as he makes the journey from Brooklyn to “americanca”-the larger world that begins at the other end of the subway in Manhattan. A classic portrayal of the Jewish immigrant culture of the 1930s. Drawings by Marvin Bileck.